Let the Magic Club of Great Britain give you a STRESS FREE party. We only select the best magicians to represent us around the country. Are full time professional children's entertainers. Have enhanced CRB & DBS checks. There are many children's entertainers who are not professional. They work during the week, then do children's parties at the weekend to earn some extra money. 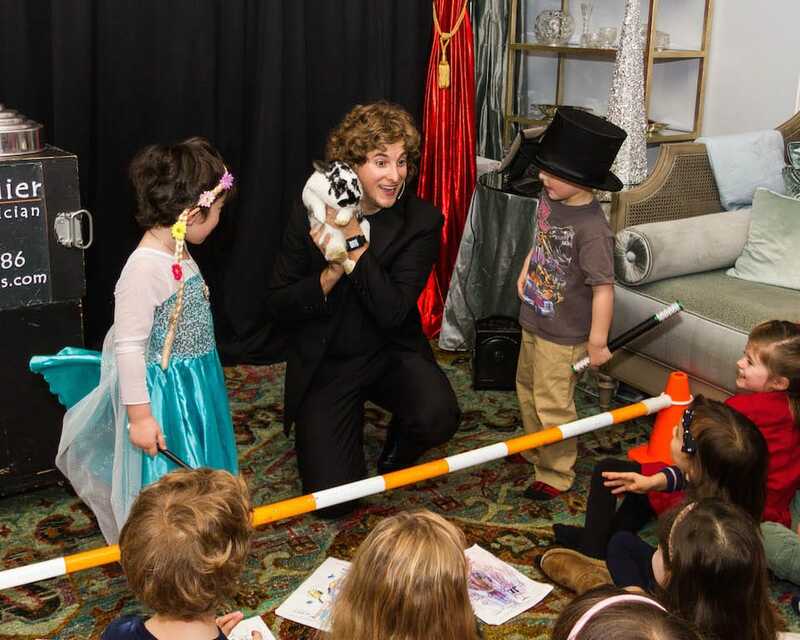 All our magicians are full time professional children's entertainers and the best in their area. See what parents say below. During the week our performers represent us (The Magic Club of Great Britain) in schools, running magic workshops, after school magic clubs and performing educational magic shows. Our performers bring lots of fun, laughter and audience participation. ​​Why not have a 'Magic Themed Party'. Invite children to dress up as magicians. The birthday party starts with a magic workshop, children will be taught how to perform a magic trick. This is followed by magic performances by children who would like to perform the trick.......lots of fun with stage names and clapping. ​There is then a 40 minute magic show which ends with the birthday boy/girl coming up for the finale trick and being the star of the show. Include the magic trick the children have learnt in their party bag (£1.60 each). If you would like to book a party or have any questions please contact us below. Our magicians are permantely in demand, booked many months ahead. please call Eugene Matthias on 07730 111111. ​The children found Jelly Kelly hilarious & she managed to hold their full attention for the whole party (mostly 4 year olds so quite a feat). ​The best children's party entertainer we've seen! Me & my husband booked Perry for our sons 5th birthday party. He came early to set up & discuss what he would be doing during his act which included Dylan, his friends & my husband taking part in some of the circus skills, magic & illusions. He catered for the audience as they shouted "more" or "again". He even ran over time slightly but didn't rush to get away or pack up & made a point of saying bye to kids & adults. We will recommend & book Perry again. He made Dylan's birthday party a day to remember forever! We hired Bob for my daughter and her friends 7th birthday party and we were so impressed. The children loved the show and the tricks that he did and he kept 28 children entertained and used age appropriate humour. The children were all amazed when he got a real rabbit to appear aswell. Would definitely recommend him to other parents. Thank you so much for today. The children all had a fabulous time, the grown ups raved about you both and I had a totally stress free party! I would recommend you to everyone and I will keep your card for the next party! ​We chose Jelly Kelly to entertain at our daughters 5th birthday party, we had seen JK at another kids party a few years ago and she was brilliant, she didn’t disappoint this time round either. We had a mix of ages from 3-7yrs and she had them ALL completely transfixed from the moment they arrived. Since the party, I've had the children’s parents commenting on how great she was and that there children spent the entire weekend talking out the show and many now want a JK party!! So we would 100% recommend JK to any parents looking for an entertainer who ticks all the boxes - shes fantastic!! Thank you!! I had my son's 6th birthday today and used Mick as our entertainer and very glad I did, he was absoultly fantastic! He kept the children entertained for the whole 2hrs, lots of fun and magic, played plenty of games and lots of crazy dancing, all the children had such a good time! I highly recommend Mick for any childrens parties. "The best party I've ever been to!" We invited Perry to do a magic and circus skills show for our daughter Hannah's eleventh birthday party. There were six girls there and they all loved it. Perry performed a variety of imaginative tricks and illusions, often involving the kids themselves (not to mention unsuspecting dads). The climax of the show was a gravity-defying stunt, where Perry pulled away a chair, leaving Hannah lying on a board supported at only one end. The children also loved having a go at plate spinning. Perry finished off by making individual balloon hats and animals for each child. As she was leaving, Hannah's best friend turned to her and said "That's the best party I've ever been to!" Thanks to Perry for a fantastic show pitched just at the right level for the children. Thank you Kelly for a truly brilliant party! The children all enjoyed every minute of the afternoon and their parents did too! From a mum's point of view it was great to know that everyone was having such a good time and meant that I could enjoy the party as much as all our guests. ​We all had a fantastic time and wouldn't hesitate to recommend you, thank you! Bethany MannersBrilliant day had by all! Magic bob was on time, organised, and a true professional. My daughter absolutely loved his magic so did all the children which were a tough crowd as lots of different aged children and bob kept them all entertained and amazed. Also the adults loved it, I've had so many compliments about how good he was. I will most definately be booking bob in the future. Just to say a big thank you for the wonderful show you did for Hollie & Ella yesterday. Neither of them can stop talking about it, they just love Cheeky Dog! Hollie has already put in a request that you come back next year! 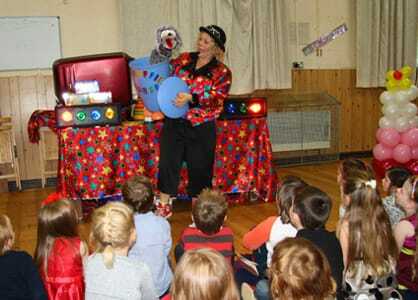 Booked jay for our daughters birthday party and the children really enjoyed his show. His tricks kept all the guests entertained throughout the show. ​We would recommend jay to anyone looking for a great, entertaining and reliable entertainer. You kept 30 children well and truly entertained for 2 hours with magic,games and music,for my sons 7th birthday. ​Jelly Kelly came to my daughters 6th birthday party & was fantastic! The children (& the grown ups!) loved every minute & everyone had the chance to get involved in the show! There was so much laughing I really don't think they could have had a better time. Booking was easy, communication was great & it really was a hassle free experience for me! Two hours packed with fun and laughter. I would recommend Jelly Kelly without reservation, you won't be disappointed! We booked Perry for my grandson's 7th birthday party and we were so pleased we chose him. He turned up on time, entertained and related well to the children and even stayed over his time ensuring that all of the children had a balloon animal/hat/gun. He worked tirelessly and made all of us, adults included, laugh. ​Wouldn't hesitate to recommend him. We hired Bob for my daughter’s 5th Birthday, and he captivated the children right from the start. They were all laughing so hard at his jokes and tricks, it was a really lovely thing to see and hear. Bob’s magic is very good, and many of the parents commented about how good the show was. The games were also great, and by the end all the children had a really good time, ensuring there was plenty of excited chatter from everyone about how well the party had gone. Would definitely recommend and use again for younger brother in the future. Comments: thank you so much for keeping 30 children (5 year olds) enetertained and happy for my sons party. You did a fantastic job and all the kids loved it, we have fab photos to proove it!!!! Thank you so much, having seen you I am sure ull be doing alot more parties in this area now! Good to see you both last weekend. Joe is "Cheeky Dog" mad. Since seeing your show, he's been carrying his (Cheeky Dog) leaflet around with him everywhere! He loved the Dinosaur and the Dragon who came to the party, as well as the puppet Lion that he'd seen on YouTube, which had him laughing his head off! Thanks once more for yet another fantastic party! Booked Jay for my daughter's 7th Birthday Party and he was fantastic. He kept the kids (aged 2-8) entertained and involved them right through his show. He also required some parental involvement too! 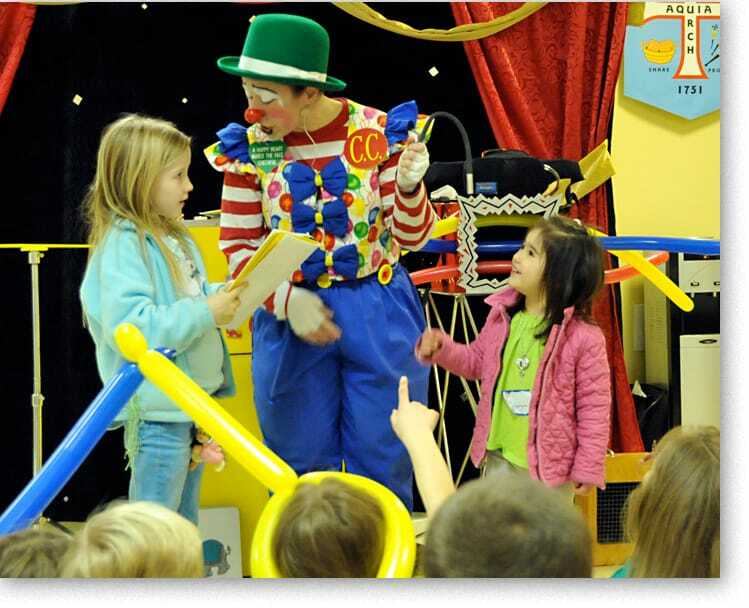 Varied magic tricks, disco and bubbles, the kids loved him and my daughter couldn't stop talking about him the next day. We had our second party with Jelly Kelly this weekend. Our first was last year for our 5 year old twins. Jelly Kelly was fantastic and my elder daughter (age 7) wanted a Jelly Kelly party too. Jelly Kelly's energy and enthusiasm is on-going and she memorised almost all the kids names at the party. Very impressive. We have a younger daughter and intend on having a JK party for her in the near future. Thumbs-up JK. At the end of a fantastic day, a big thank you for a very special show. Our Daughter had a lovely birthday and we are very grateful to Jacquie and yourself for making her 5th birthday so memorable. Your professional approach and natural ability to gauge the children and follow their reactions and lead is a true gift. Very clever magic and wonderful puppets. All the children were laughing so much for the full hour. It is no mean feat to keep such discerning critics so happily entertained. Once again our sincere thanks, pop in any time for a cup of tea! ​Scott GWe booked Magic Bob for our daughters christening as we had about ten children at the party aged from 2-10 years. Bob ended up entertaining the 10 children and about 40 adults as it was that enjoyable. It was lovely that the children were involved as well as some of the adults and what he does is amazing. The children didn’t move for the whole show as they were amazed by Bobs performance. Make sure you have your cameras handy as your child’s face with be a picture you’ll want to capture. We will definitely recommend Magic Bob and would not hesitate to book him again for any future events. Thanks Magic Bob for being such a great entertainer on our special day. "Would recommend mick for any children's party, he kept 26+ children (3 to 5 years) entertained for 2 hours and was in control the whole time. The kids loved it and parents got to sit down and relax, perfect "
Thank you so much Mick.....great job!!!! We booked Jay for our little girls birthday on the 21st of November. I can say without doubt that this guy is fantastic. The entertainment for the kids was none stop and they all enjoyed themselves immensely. money. We will defiantly book him again and advise anyone else thinking about booking Jay to just do it. Hi, thanks Mick you did an amazing job entertaining my autistic son and his 30 friends. I take my hat of to you for doing such wonderful job! All the children at the parted said it was the best party they had ever been to I will be using you again! You are the piped piper for sure thanks once again!